A BATTLE to stop the sell-off of Plymouth's council-owned bus company intensified today with the launch of a new campaign. Unite, the trade union giant, said any move to sell Citybus was 'an insult' and 'nonsense', claiming it would lead to job losses. 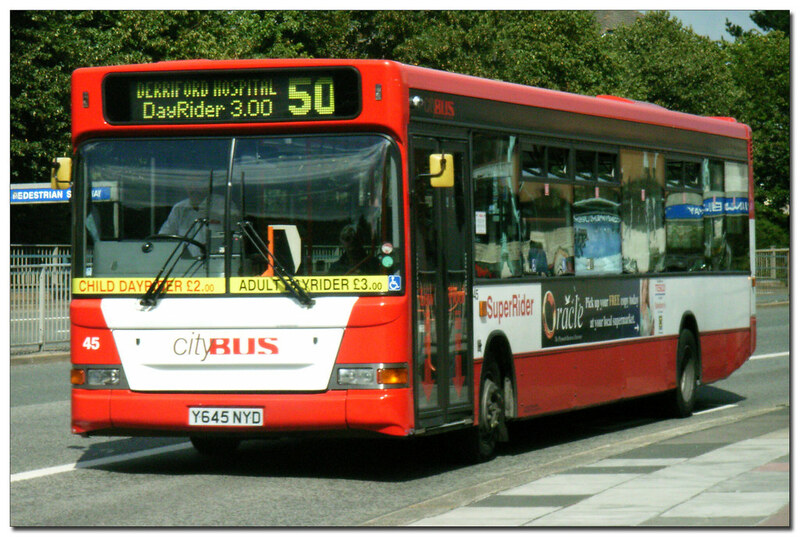 Residents' leaders and other local politicians voiced strong opposition last night, and one Citybus employee has set up a 'Save Plymouth Citybus' profile on Facebook. Tudor Evans, the Labour group leader on the council who is organising today's protest, said: "The bus company helps to control the price of fares in Plymouth. Cities that don't have a council-owned bus company have all seen their fares rise much higher than they are here. Pensioners will continue to travel for free, but everyone else will see fares rise. The council will also lose its dividend from Citybus profits, so council tax will rise." South West Devon Liberal Democrat leader Stephen Kearney said: "The people of Plymouth should stand up and tell the council that the greed has got to stop." Council leader Vivien Pengelly told The Herald this week: "Plymouth Citybus will not be sold unless a sensible offer is put forward. Bus services in Plymouth are going to be front page news for some time with this and other changes due shortly. Plymothian Transit will be following it all very closely! My PC monitor is dying and keeps changing size and sometimes the picture disappears altogether - If it can just hold on for a few more days till the new one arrives then hopefully there will be no more breaks in service. If I do disappear for a few days - then you know why! (The new monitor should be with me on Wednesday). Computers - brilliant when they work!